Rashmi Bhaskar Mukherjee is an HR professional with over 18 years of experience across South Asia, UK and Europe with experience across multiple domains – management consulting, financial services and professional services amongst others. Rashmi feels strongly about ‘bringing positive, constructive and uplifting change’ – especially issues concerning women and children. Rashmi believes that she has been very fortunate to have met, worked with and engaged with some incredibly accomplished individuals, both professionally and personally; good DNA as she calls them. What has struck her about these individuals is their ability to make a difference – surprisingly not by the power of their wealth or the titles they carry, but the simple often underestimated gestures; ‘offering their time, sharing their skills to empower and uplift, leveraging on their networks to broaden someone else’s and most importantly their ability to empathise without being patronising’. The satisfaction that comes from being able to provide that additional support – is fulfilling in every way. 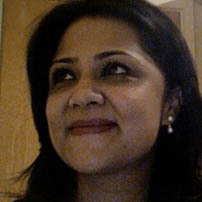 During her career breaks, Rashmi has volunteered and supported causes dear to her; most recent experiences being, volunteering with a global charity aimed towards empowering women, particularly in South Asia and also the issue of ending human slavery – a cause that her spouse, her network of friends and family including herself, feel very strongly about. Given her background in HR and management – Rashmi would like to focus her energies on helping 1st generation immigrant women, who despite the requisite skills and experience struggle to find their feet in the employment market. She is hopeful that by creating active mentoring chains or opening up otherwise restricted networks we could successfully create a movement that has a voice and the right visibility on this issue. Rashmi believes that WEF is a fantastic initiative that allows women to leverage on the power of women to make a difference – a truly collaborative and an empowering platform.